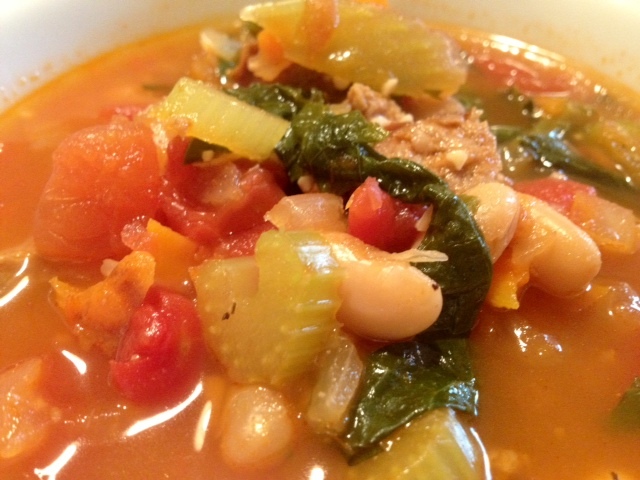 Smoked Kielbasa & Cannellini Bean Soup. 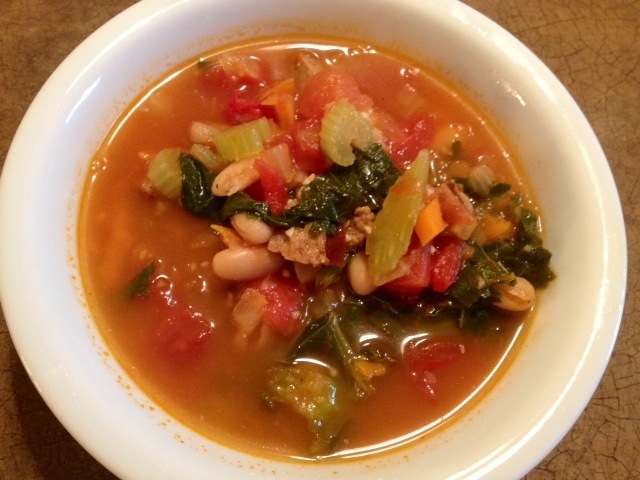 Smoked Turkey Kielbasa & Cannellini Bean Soup With Collard Greens & Veggies. Now that it’s started to get a bit cooler outside, it’s perfect soup weather. Soup is great because you can make a big pot of it and eat it all week long with no fuss. 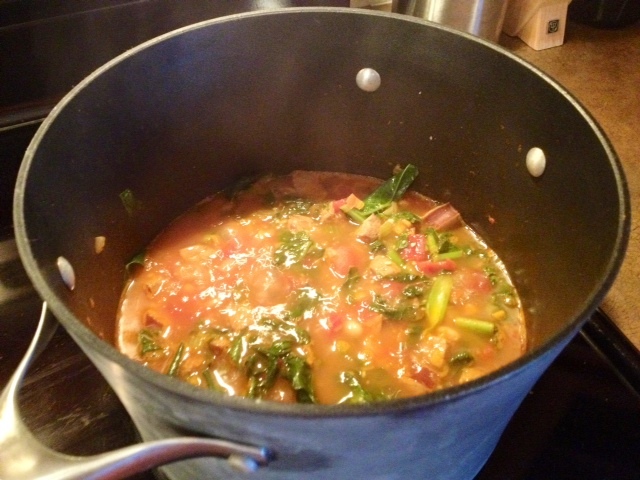 This soup is low-fat, nutritious, filling and ever so tasty. It has a bold, smokey flavor from the smoked turkey kielbasa that goes perfectly with the cannellini beans and collard greens. Heat 2 tbsp of olive oil in a large pot on medium-high heat and add in the minced garlic. 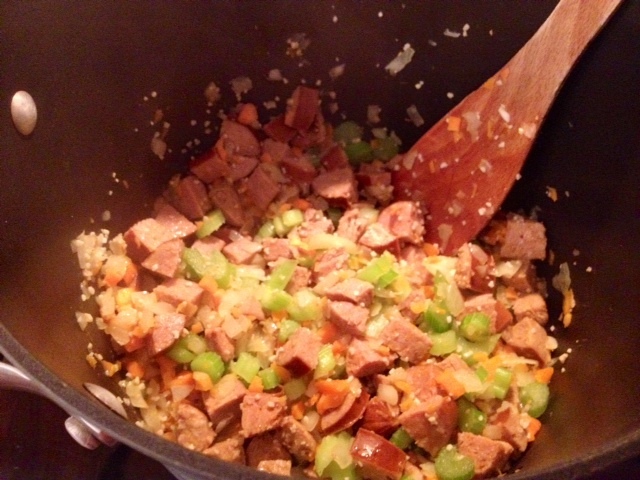 Stir the garlic around until it’s lightly browned and then add in the celery, onion, carrots and kielbasa. Cook the mixture, stirring around often, for about 5 minutes on high heat. Pour in the diced tomatoes and chicken broth allow the liquid to come to a low boil. 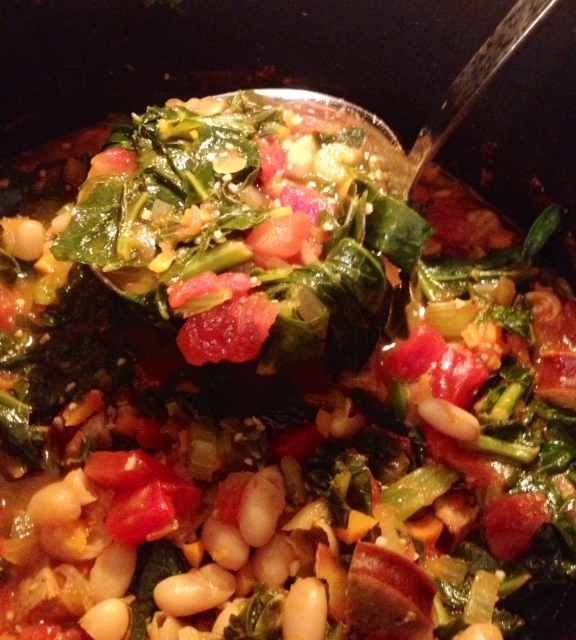 Add in the collard greens and cannellini beans and season with a dash of salt and black pepper. Reduce the heat to medium-low and continue to simmer for about an hour. ← Sweet Corn & Pancetta Quinoa.